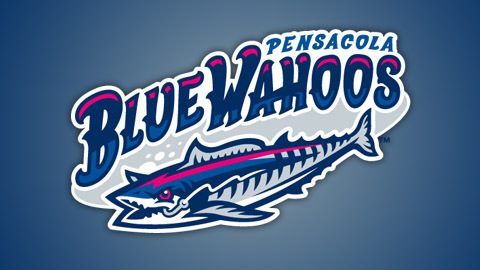 The Pensacola Blue Wahoos are the double-A affiliate of the Cincinnati Reds. Established in 2012, the Blue Wahoos – located in the Panhandle of northwestern Florida – play baseball at Pensacola Bayfront Stadium and enjoy bringing professional-level sports & family entertainment to the citizens of Pensacola, as well as Reds fans worldwide. The Wahoos won the Southern League Championship in 2017. Join us for some games at The Bayfront! WAHOO! MONDAY – Give Back/Military Monday – First Command Financial Services and the Blue Wahoos are honoring those who served and are still serving our nation’s military every Monday night. Active and retired military can enjoy a $1 off on Monday game day tickets at the box office. The Blue Wahoos will have special recognitions, an American flag presentation and on field activities. TUESDAY – Tap and Taco Tuesday – Come hand out with the Blue Wahoos on Tap and Taco Tuesdays. Watch Blue Wahoos Stadium transform into a chill environment with acoustic music, local artwork, and of course an awesome beer and taco pairing every Tuesday! Fat Tuesday all you can eat buffett out on the Winn Dixie party deck in partner with Moe’s Southwest Grill. Get your Fat Tuesday tickets today! WEDNESDAY – Wahoo Wednesday – Wahoo Wednesdays are the Blue Wahoos wacky theme nights. Enjoy iconic pop culture themed games like School of Rock, Grease, Mardi Gras and space epic Star Wars. If you are looking for a wacky twist to baseball, come out to the ballpark on Wahoo Wednesday. Out of school fireworks starting May 23rd! THURSDAY – Thirsty Thursday – Every Thirsty Thursday enjoy drink specials during the game. Come waddle with the Wahoos on specific pub crawl themed Thirsty Thursdays. FRIDAY – FANtastic Friday – Be one of the first 2,000 fans at the ballpark on Fridays to get a limited edition Wahoos giveaway item, presented by our great Wahoos partners. SATURDAY – Fireworks Saturday – The Wahoos light up the night sky with the best fireworks show on the Gulf Coast. Come out to the ballpark to watch an explosive Wahoos game with fireworks post game. SUNDAY – Family Sunday – McDonald’s presents family Sundays at the ballpark. Bring out the whole family for early season day games and late season evening games. As always, kids can enjoy running the bases and family toss every Sunday. The WSRE PBS KIDS Imagination Station is open for every home game of the Wahoos, starting an hour before first pitch. We’re located in a venue on the outside of the stadium facing Main Street. Stop in and see all of the unique memorabilia we have on display from Pensacola’s rich history of baseball in our city. Bring the kids in to enjoy some hands-on fun featuring their favorite PBS KIDS programs and characters! It’s free, it’s fun and it’s provided to children and families as a service of your PBS station – WSRE – and Pensacola State College.